The information contained in this article is for reference purposes only. Never service any equipment where the power hasn’t first been disconnected. Some electrical parts such as capacitors can still hold dangerous electric current even after the power has been disconnected. 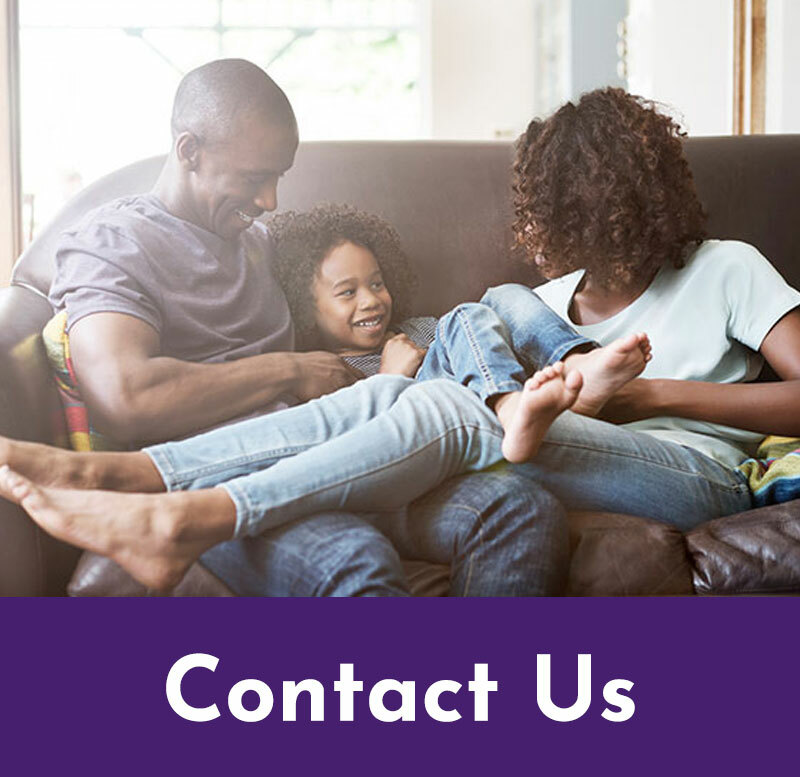 If you live in the our service area (including North Raleigh, Raleigh, Cary, Durham, Chapel Hill, or Wake Forest), call Comfort Monster or a licensed technician to professionally service and repair your HVAC system. Filters: Make sure all filters have been replaced recently and are clean and free-flowing. Thermostat: Make sure the thermostat is set to cool and the temperature is set a few degrees below the current indoor temperature. Note that if you recently had your thermostat in heat mode for a heat pump, you might have to wait up to 15-20 minutes to allow the system to switch over before the compressor will start. Condensate Pan/Drain: If you have a “split system” air conditioner or heat pump and you know where your indoor unit is located, check the drain pan and drain line to be sure the condensate is draining properly, and remove any clogs. A clogged drain will cause your system’s safety mechanism to trip and stop operation of system in order to prevent water damage to your home. If doing one of these things fixed your problem, continue to monitor your system and make sure it’s operating properly. This might be a good time to make a non-emergency call to get a tune-up or inspection on your system if it has been more than six months to a year since you had professional maintenance on it. Still No Cool Air? Try this. If trying those tips didn’t work, you may continue troubleshooting below. Look for ice build-up on your outdoor unit. 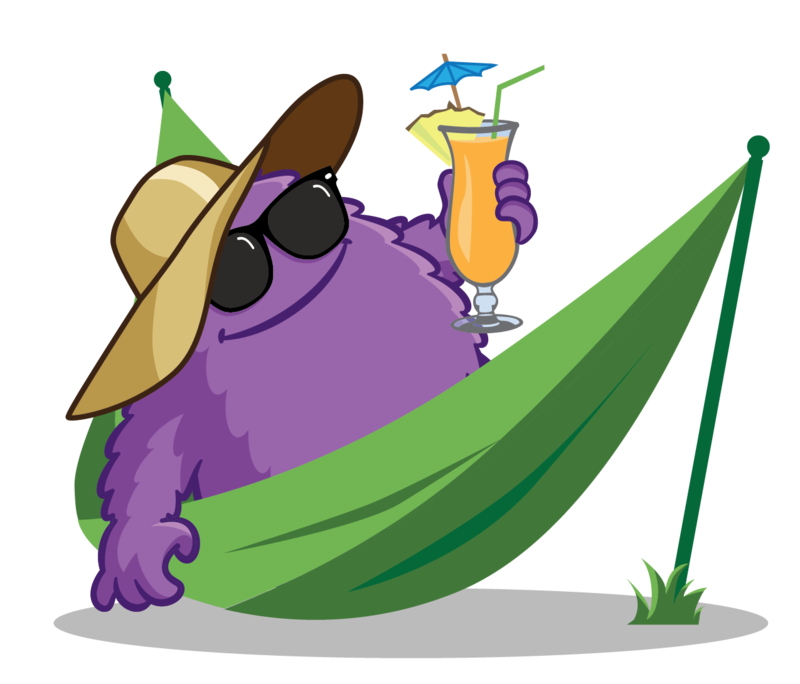 If you find ice, turn off your A/C system and call Comfort Monster. Your unit will need to be defrosted before we can properly service it. If the fan isn’t spinning and you hear a humming sound, you can (carefully!) try using a screwdriver to “flip” the fan forward in a clockwise motion. If the fan starts, you probably have a capacitor or motor problem. Unless you plan on manually restarting your fan every time it turns off, you will now need to call for service. It’s best to have it fixed while you still have some cool air versus a total system failure. That Wasn’t the Problem Either? More AC Troubleshooting Is Below! If you have a split system, your indoor unit produces lots of condensation when the air conditioner, as it removes humidity from the air while running. This condensation is designed to drain outside your house through a plastic PVC drain line. If this line becomes clogged, it will overflow from the unit and into the drain pan. Once the drain pan fills up, a safety cutoff switch will kill the power to the unit to prevent the condensation from causing water damage in your home. Your indoor unit may be located in the basement, attic, or a closet. Once you find the unit, check the drain pan for water. If it’s full, you’ve found your problem. The drain line(s) will need to be cleaned out. Professionals may do this with a combination of compressed air and/or a pipe snake or other specialized tools. If you aren’t able to get the water drained out by yourself, call us at 919-MONSTER. The drain line is one of the many air conditioner parts cleaned and serviced as part of our twice annual MonsterCare maintenance program, which usually prevents issues like this from occurring. Circuit breakers are designed to protect your HVAC equipment from damage and your house from a fire if an electrical problem develops. That being said, it is possible that resetting a circuit breaker will get your system working again, at least for a little while. How to do it: Locate your electrical panel. It is usually found in an accessible but unobtrusive place such as a laundry room, garage or hallway. Sometimes either your main panel or a sub-panel will be located near your outdoor unit. Open the panel and look for breakers that are tripped. Some circuit breakers show a red indicator if they are tripped, others might just be flipped to off or partially off. Your breakers should be labeled, so look for ones related to the HVAC system. To reset a breaker, turn it all the way off and then back to on. If it trips back right away, leave it off. That means it is doing its job of protecting your home, because there is an electrical short somewhere that otherwise might have caused a fire. Either way, if the breaker being tripped was the issue, you should call Comfort Monster– There is a good chance that whatever made the system trip will happen again. If the problem is a dead battery in your thermostat, the fix can be quick and cheap – But don’t get your hopes up too high quite yet, because these days most thermostats don’t have batteries. They are most often powered by the main equipment. If you have a modern WiFi type thermostat it most likely doesn’t have batteries. You can check, however. There are too many types to provide instructions, but you can either get your make and model number and Google whether it has batteries and how to replace them or look for yourself. If you want to check for yourself, look carefully at your thermostat. Normally you can open up the lower panel or unclip it from the wall. Once you get it open or unclipped from the wall look for a batter door. Open the battery door and replace the batteries. Hopefully you’re back in business! If not, call 919-MONSTER and we’ll be happy to help. This problem is only possible if you have a split system that has an older-style indoor unit, as newer models are generally “direct drive” rather than using fan belts to power the indoor blower. Locate your indoor unit. If there is a fan belt, it’s normally pretty easy to see the pulleys on the motor and fan. If the belt is not present, look around for it. It should be near the unit. If the belt is undamaged, you may be able to put it back on. Make 100% sure the power is off to the indoor unit first! Then place the belt around the fan pulley and motor pulley as far as it will go. Rotate the pulley in the direction that will cause the belt to tighten and pop onto the pulley. Once it’s on, check the tension of the belt. It should be firm, but not so tight that it binds. If you need to, adjust the motor to tension the belt properly. If the belt is damaged, we recommend that you stop and call an HVAC company to make sure it gets replaced properly and that there’s not another underlying problem. But if you feel confident that you can get the proper replacement belt for your system, follow the directions above to install it. Call Comfort Monster if you need any help! This is one situation where you’ll need to call 919-MONSTER or another licensed HVAC company to check your system. Even checking the system with gauges can release too much refrigerant if done improperly. You will also want a professional to check for leaks before adding more refrigerant, to make sure it doesn’t just leak right back out. Call 919-MONSTER or a licensed HVAC company to check your system and repair it as necessary. If you have a system older than 10 years with a compressor failure, it may be time to consider a replacement. Compressors are one of the most expensive components of your system. See our article, How Long Should Your HVAC System Last? to learn more about evaluating repairs versus replacement options. You may certainly be able to repair a cracked drain pipe yourself, or you can hire a plumber or HVAC technician to do it. We would recommend that since you are having problems with your HVAC system, it’s probably best to have a licensed technician check out the system and make sure there’s no other underlying problems before fixing the drain pipe. Locate your indoor unit and look in the drain pan (that’s the thing under the unit that catches water) for a condensate drain pump. When the system can’t drain directly by gravity due to installation constraints, the installer or contractor may have used a pump to remove the condensate from your system. These are self-contained pumps that come on automatically, as a sump pump does, to get the water out. Condensate drain pumps are often plugged into an outlet rather than being hard-wired into the electrical system. Test your outlet to make sure there is power. If the outlet is bad, the pump of course won’t work, and you’ll need to get a licensed electrician (or an HVAC tech) to replace that outlet. If the outlet isn’t the problem (you can also use an extension cord to test the pump with a different power source), then your pump could be bad. If you want to replace it yourself, look at your local home improvement store for a new pump with a similar size and capacity – It doesn’t need to be something specially tailored to your system. The PVC or tubing is probably not glued to the pump. Gently remove the pipe and then remove and replace the pump. Call 919-MONSTER or another licensed HVAC company if you need help. If this is the problem, we recommend you call 919-MONSTER or another licensed HVAC company to check your system and repair or replace the fan blower motor. If this is the problem, you might hear a screeching or grinding sound like metal on metal, perhaps in a rhythmic, oscillating way. Call 919-MONSTER or another licensed HVAC company to check your system and repair or replace the fan blower motor. On a typical split system, the condenser fan sits at the top of the outdoor unit, and the fan shroud will be the protective part that goes around it. Fan shrouds vary from manufacturer to manufacturer and year to year, but they are often secured to the case with sheet metal screws. With the unit off, check your fan shroud to make sure it is properly secured and that there are no cracks or breaks. If you find any issues, tighten the screws as necessary. 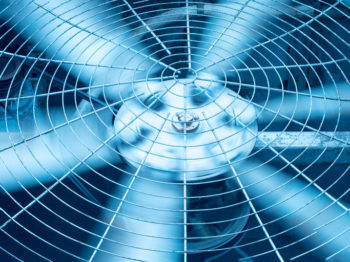 If the fan shroud is broken, you can probably order one online or through a local supplier when you provide the correct make and model number from your system. You should be able to replace it yourself by looking at how the previous one was attached. If you need any help, call 919-MONSTER or another licensed HVAC company. On a typical split system, the condenser fan sits at the top of the outdoor unit. If you look through the top grille with the unit running, you can probably observe an unbalanced or broken fan. If you have someone turn off the unit (at thermostat), you should be able to see even better what’s happening as the fan comes to a stop. Do NOT touch the fan blades until the blades come to a complete stop and you have disconnected the power. If needed, you can order a replacement fan blade online or through a local supplier. Before servicing the fan, be sure power is completely disconnected from the outdoor unit! You must first remove the fan shroud to access the fan blade and the fan motor is often attached to the shroud. The fan shroud varies from manufacturer to manufacturer and year to year but they are often secured to the case with sheet metal screws. With the power shut down to the unit, remove the fan shroud. By observing the new fan blade you should be able to figure out how to remove the old one. They are often secured with a set screw and key to the motor shaft. Loosen the set screw, remove and replace the fan blade and then tighten the new fan blade. Reinstall the fan shroud and tighten all screws. If you need any help call 919-MONSTER or another licensed HVAC company. Diagnosing whether the thermostat or wiring is the issue can be tricky. If you are sure you have a bad thermostat, you can attempt to replace it yourself. Be advised that different equipment requires different setups, especially with smart thermostats. It’s often not as simple as just connecting the right wires and mounting the thermostat on the wall. Read the documentation that came with the thermostat, and watch available online tutorials. Note: You should ALWAYS turn off power to the indoor unit before removing or installing thermostat. Otherwise, you may damage thermostat or indoor transformer. If you have any problems call 919-MONSTER or another licensed HVAC company to help you. Diagnosing wiring problems can be one of the most difficult issues to troubleshoot. Intermittent faults such as shorts or poor continuity can appear to work properly when testing and then exhibit strange issues. 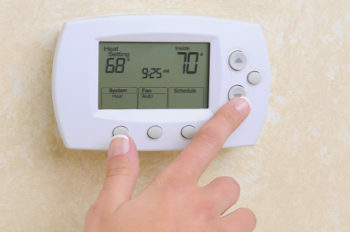 The new modern systems and thermostats are more sensitive to wiring issues. For either thermostat wires or other electrical issues affecting your comfort systems, we recommend calling 919-MONSTER or another licensed HVAC company. 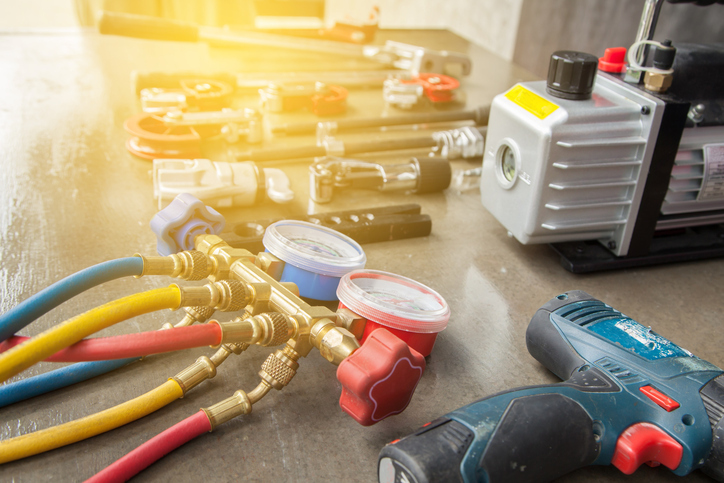 When your air conditioning goes out, there are a few things you might be able to try before calling in the professionals. Some of these are relatively simple, such as cleaning your filters, but others could get you hurt or make the problem worse. Either way, educating yourself about this important part of your home is a good idea — Even if you do have to call someone from Comfort Monster or another HVAC company, you’ll be ahead of the game when it comes to understanding what is going on and needs to be done.